Extract from The British Journal of Photography, December 2017 Journalist, photographer and lover of independent magazines, Liz Schaffer moved from Sydney to London in 2011, a city that “felt like the epicentre of all things creative”, she says. 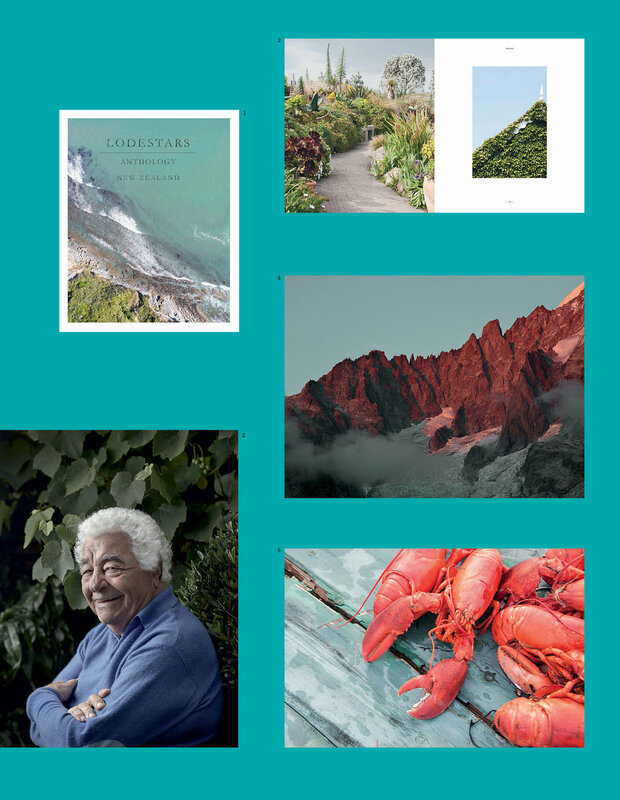 Combining her passions with an innate curiosity for travelling, she launched Lodestars Anthology in September 2014 with the England issue, subsequently dedicating each journal to the exploration of a single country, including Scotland, Italy, Sweden and Canada. Together with her team and ever-growing list of contributors worldwide, she has also recently released her first compendium book, titled Lodestars Anthology: Pathways. What are the first steps you take when working on a new issue? It’s a fluid process – our country of choice [for the issue] and the contributors we work with play a crucial role in shaping the publication. Sometimes we select a country when a photographer sends through work that we simply have to publish – a ‘love at first sight’ reaction. At other times it’s a friendly suggestion or an awareness that we are yet to cover a particular corner of the globe. Do you select photographers based on their location? I always strive to create content based on experience. So getting in touch with photographers and writers on the ground, those who know a destination like only a local can, is crucial. That said, over the years we’ve built up an amazing and invaluable network of contributors, so we also come up with pieces by attempting to match a photographer’s style with the perceived feel of a place, and then send them out to capture it. When doing this we want to give them as much time on the ground as possible; when shooting for travel you’re quite often at the mercy of the elements, making time and flexibility essential. A minimum of five days is ideal, but I’ll do all I can to make this longer. Do you have any guiding principles about collaborating with people? As obvious as it may sound, a good working relationship is crucial. I am in awe of the work we are sent – images that do seemingly impossible things with light, reveal the magic of the wild or capture a community’s verve and vibrancy. I do my best, whenever possible, to let my photographers know their creative worth. It’s also important to be friendly and open. Magazines, especially independent ones, tend to be incredibly personal endeavours. Budgets are tight, the hours are ridiculous and a work/life balance isn’t always there, so being able to get on and laugh with those you work with, getting genuinely excited when their name pops up in your inbox, more than justifies the difficult days. How has the focus changed for independent magazines? One of the trends I adore is the increased space and respect given to illustration and photography – it feels like a return to the sweep and scope afforded press photographers in the 1960s and 70s. There is less reliance on stock imagery and a growing appreciation for originality and tailored commissions, which goes hand in hand with the reimagining of the magazine as a moreish physical object. People have begun to collect again. It’s understood that the magazines that sell are those that invest in their contributors and offer amazing content – a sense of escape and wonder that only exceptional images and writing can allow. Are there any photographers you have particularly enjoyed working with? I adore different photographers for different reasons but two people we have worked with on multiple issues, and asked to contribute to our new book, Lodestars Anthology: Pathways, are Tom Bunning and Renae Smith. Both have such unique styles – they clearly see the world quite differently. Tom can make any landscape magical and his ability to manipulate light and shadow is almost otherworldly. He also puts his subjects at ease like no one else and, as a result, what he captures is wonderfully authentic. Renae has a much lighter look and there is a calmness to her work. Interestingly, I see their styles as direct opposites. But you need that with travel; an ability to capture the diversity of our world, and to do so in an original, honest way.